While GarageBand for iPad is a neat little acoustic sandbox for even we tone deaf plebs, it was of particular interest to musicians who were already heavily invested in GarageBand for Mac. 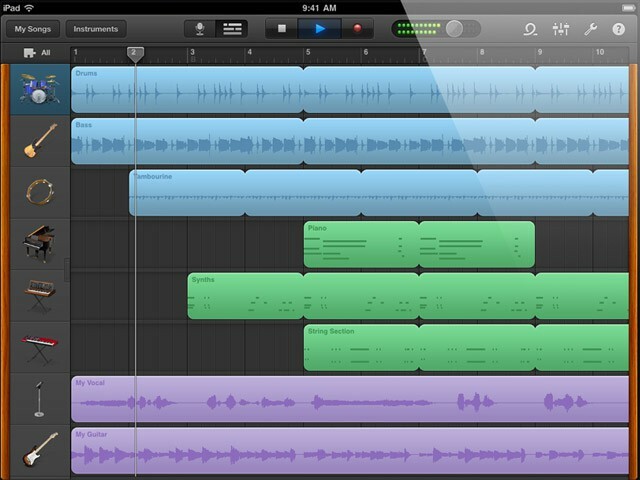 With the iPad version, these musicians hoped they’d be able to put together a few bars of a ditty on the subway or during a flight, flesh it out a bit, then import it into their Mac at home for a polish; alternatively, they hoped they could take their current GarageBand projects on the road with them. Unfortunately, when GarageBand for iPad actually ended up hitting, it actually was quite difficult to do any of the above. That wasn’t intentional, though, and over the weekend, Apple pushed the 6.0.2 update of GarageBand for Mac out through the usual channels, bringing support for opening projects imported from GarageBand for iPad.